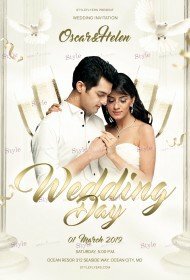 The most important and touching day in your life is wedding. And for this valuable event you should be prepared. 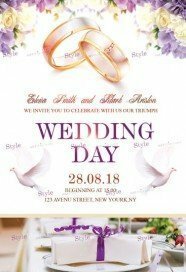 Preparations for a wedding day take a lot of your time. 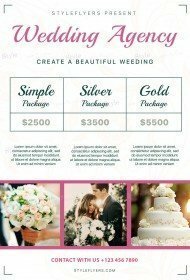 You need to pick up the wedding cake, wedding dress, restaurant, flowers, dress for bridesmaid and many other important details. 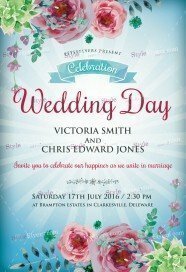 We want to make this Day the best in your life and make your preparations easier. 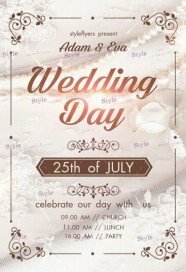 So, we created a lot of unusual and luxury premium wedding flyers templates listing for your celebration. 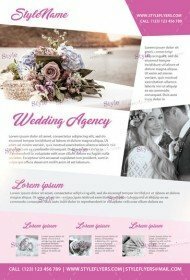 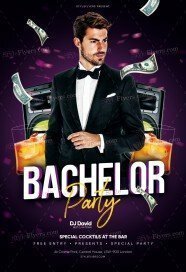 Here you can buy wedding flyer template with high quality Facebook cover. You can pick the color your like, blue, green. 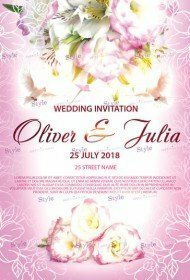 Red, violet or any other. All our clients are different and they have different teste, so we can offer you a wide selection of design, including Vintage, Retro, Classic, Elegant, Contemporary, Modern, Bright, colorful, etc. Buy any of them. 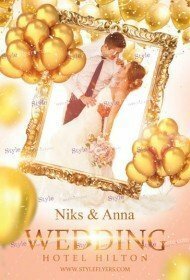 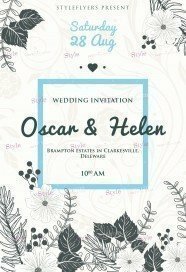 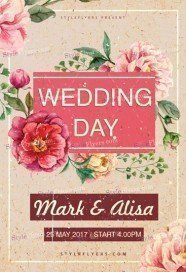 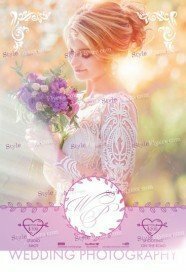 You just need to pick the best printable wedding sample that will satisfy all your needs and desires. 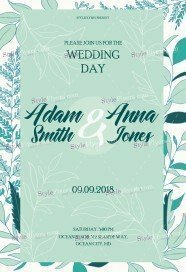 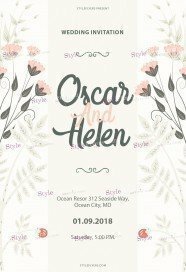 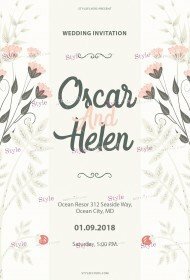 Remember that your wedding invitation should be unique and appealing. 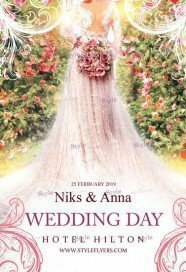 You don’t get married daily, so it’s very important to make everything perfect. 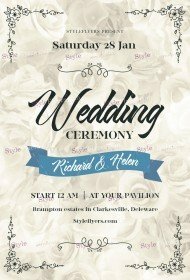 We will help you to make this day the best in your life and don’t waste a lot of time on its preparations. 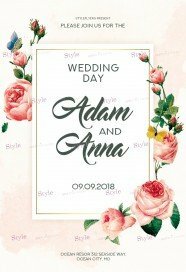 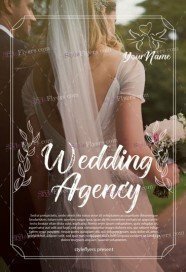 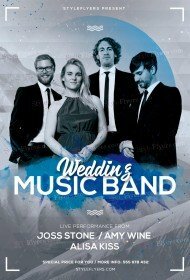 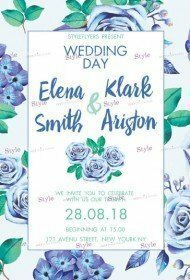 Just take a look though our new category and buy wedding flyer PSD template, all Photoshop files are available for sale online.